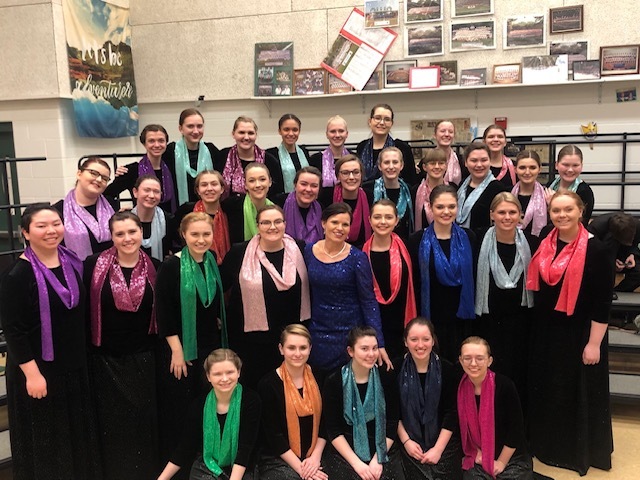 Both the Little Miami Select Mixed Choir and the Select Women's Chorale are headed to state competition after earning superior ratings at the OMEA District 13 Large Group Adjudicated Event on March 8. This year was the first time since 2014 that the Select Mixed Choir performed in Class A competition. It also marks the 15th time the select women's chorale has qualified for state competition since 2005. The Select Women's Chorale was also the only class AA ensemble to receive superior ratings from all four jurors at the event and one of only two ensembles from the entire competition to earn straight Superior ratings. The OMEA State Adjudicated Event will be held on April 26 at Lakota East High School.